CRARG finds and translates archival records from the late 1700s to the 1940s for Jews who lived in Częstochowa, Gowarczów, Janów, Kamiensk, Kłobuck, Kłomnice, Koniecpol, Końskie, Krzepice, Lelów, Mstów, Nowa Brzeźnica, Opoczno, Pilica, Pławno, Praszka, Przedbórz, Przyrów, Radomsko, Radoszyce, Rozprza, Szczekociny, Żarki, and many smaller towns nearby, with over 900,000 records so far. 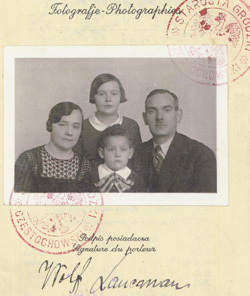 Our researchers in Poland works on births, marriages, deaths, burials, lists of residents, military recruits, emigrations, and much more—and this work continues daily. Join now to gain access to all CRARG records for a full year. Extend your family tree back several generations. Receive personal assistance with your research. Meet others interested in your research areas. CRARG is a non-profit 501(c)(3) organization. Contributions to CRARG are tax-deductible for U.S. citizens. To contribute by mail, please send your check to CRARG, 1930 Audubon Drive, Springfield, OH 45504 USA. Please include your email address with your donation.